Delphi Automotive Systems Australia has released a new range of Fuel Modules and Ignition Coils to extend their range of quality aftermarket products. 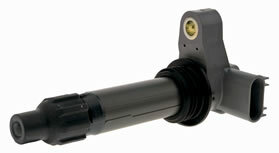 The Delphi VE Commodore Fuel Module and Ignition Coil are designed for Australian conditions and are built to Original Equipment (OE) specifications. 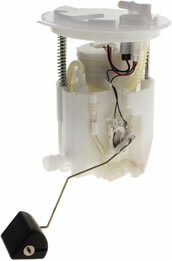 The Delphi VE Commodore Fuel Module low pressure pump bleed off is used to scavenge fuel from both primary and secondary fuel tanks into the module. In typical applications, this essentially spare pumping capacity is pumped to high pressure and then throttled through an orifice to draw fuel into the pump reservoir from within the fuel tank. This is not a very efficient process and wastes a considerable amount of the fuel pumps flow capacity. The new Delphi module pumps the fuel used for scavenging to the minimum pressure required to draw fuel from the tanks into the fuel pump reservoir. This pump development is beneficial in two ways, firstly, the pump draws less energy and transfers less heat into the fuel, saving electrical energy and helping to reduce emission losses. Secondly, the pump is always scavenging fuel so the fuel pump reservoir always remains full and ready to deliver fuel to the engine no matter how much fuel the engine is consuming. The result is a package that delivers considerable less current draw than the standard application while maintaining similar fuel delivery by improved fuel scavenging performance. The new replacement Commodore VE Ignition Coil includes all the features required to make it a direct replacement for the Australian aftermarket. This new ignition coil is built to meet the tough global regulations regarding performance and emissions that Delphi specifications demand. These new aftermarket parts are just the first of many new Delphi Fuel Module and Ignition Coil products developments that will be released during 2012. These products and the complete range of Delphi Fuel Modules and Ignition Coils are distributed in Australia by Premier Auto Trade, and are available through their national network of specialised resellers and leading automotive retail groups.